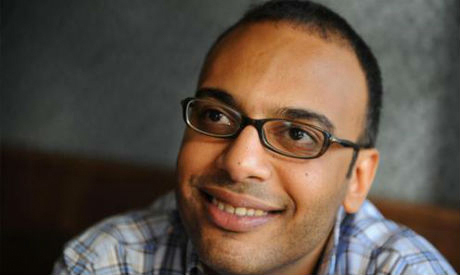 UN Secretary-General Ban Ki Moon has expressed concern over the detention of Egyptian investigative reporter Hossam Bahgat, the spokesman of the secretary-general said on Monday. The military prosecution has ordered the detention of Bahgat, who was summoned by Egyptian Military Intelligence on Sunday, for four days pending investigations on charges of publishing false and inaccurate information that harms national security. "This is just the latest in a series of detentions of human rights defenders and others that are profoundly worrying to the secretary-general," said Stephane Dujarric, the spokesman for the secretary-general. Dujarric said that Ban Ki Moon is again stressing the importance of safeguarding freedom of speech and association in Egypt. "[Ban Ki Moon] strongly believes that pluralism and vibrant civil society are key for achieving long-term stability in the country, including the guarantee that all peaceful voices are heard and represented," Dujjaric said during the UN's noon briefing. Bahgat is a member of UNDP's Global Civil Society Advisory Council and the founder of the Egyptian Initiative for Personal Rights, which works to "strengthen and protect basic rights and freedoms in Egypt," according to its mission. He became a contributor for Mada Masr in 2014, writing prominent stories like The Arab Sharkas Cell: The quasi-covert trial of Ansar Beit Al-Maqdis, The Mubarak Mansions, and Who Let the Jihadis Out? In August 2011, Human Rights Watch (HRW) honoured Bahgat “for upholding the personal freedoms of all Egyptians" as he won HRW'S Alison Des Forges Award.